The University of the Philippines Alumni Association in Nevada (UPAAN) strongly opposes the decision to bury former President and Dictator Ferdinand Marcos in the “Libingan ng mga Bayani”, known among Filipinos all over the world as a cemetery reserved for heroes, because Marcos is NO HERO. Heroes are those who inspire people to do the right things. Heroes are those who made sacrifices to put others first before themselves. Some heroes have made the ultimate sacrifice by giving their life for the pursuit of justice and freedom. 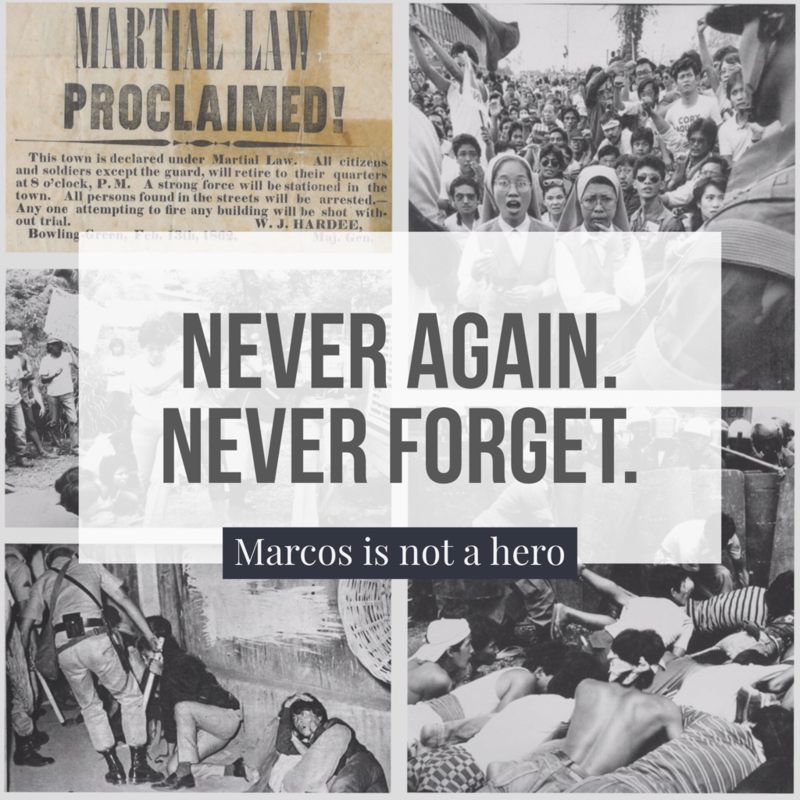 President Marcos is NOT A HERO. Marcos committed grave crimes and moral turpitude against the Philippines and caused the death and disappearance of thousands of Filipinos during his decade long Martial Law. He was a thief and plunderer who robbed the Philippine economy and treasury millions of dollars’ worth of cash and properties he hid abroad. Up to today, his heirs continue to be in denial, have no remorse, and are even enjoying the wealth stolen from the Filipino people. We appeal to President Duterte and the justices of the Supreme Court of the Philippines. We are sending the wrong message to future generations on how we treat dictators, plunderers and human rights violators if we allow Marcos’ burial at the Libingan ng mga Bayani. We love our motherland. This will not bring unity to our country. It will only deepen the wounds inflicted on the survivors and family members of the victims of the terrible years under the Marcos dictatorship.